Are you confused about sugar? Do you think sugar is a scourge on humanity and the cause of most of our health problems or do you think that it is all scare-mongering and that sugar is totally harmless? Perhaps the truth lies somewhere in between, and in this article, I would like to share with you my 20+ years of experience as a dietitian including specialised experience as diabetes dietitian for the Central Coast of NSW. Many of us are consuming too much sugar – and yes – we do need to cut down on our sugar intake. However, there are many different kinds of sugar and both the kind of sugar and the quantity of sugar do matter. 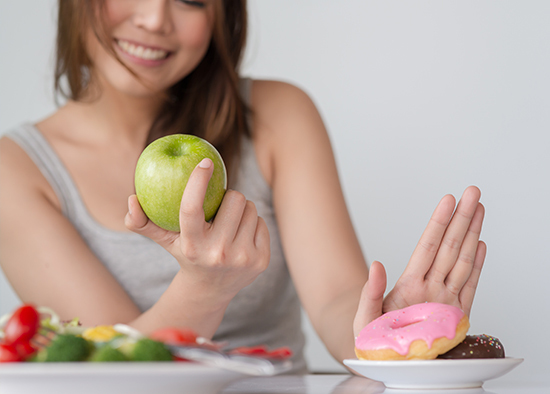 One of the very first myths that I want to dispel is that you need to cut out sugar entirely. In fact, you do not need to cut out sugar completely even if you have diabetes. A small amount of sugar as part of a healthy balanced diet is absolutely fine – and can help you to eat healthy foods that you otherwise may not have consumed such as yoghurt or high-fibre breakfast cereal. The World Health Organisation (WHO) recommends that we have no more than 10% of ‘free sugar’ in our diets. This is quite hard to comprehend as it includes both added sugar by manufacturers, cooks and consumers as well as naturally occurring sugars in honey, syrups, fruit juices and fruit juice concentrates. So, here’s a much easier way to reduce your sugar intake while eating a heathy and tasty balanced diet and enjoying your food, which is one of life’s greatest pleasures. So, what do we mean by sugar? Carbohydrates include sugars and starches and there are many different kinds of sugars and starches. Simple sugars or monosaccharides (containing one sugar unit) include fructose, galactose and glucose. Disaccharides made up of two monosaccharides are lactose (galactose and glucose joined together), sucrose (fructose and glucose joined together) and maltose (two glucose molecules linked together). Disaccharides are also referred to as simple sugars. Oligosaccharides contain 3–10 single sugar units and polysaccharides (including starches) contain many single sugar units. There are also many different terms used for sugar – and they are all simply different forms of added sugar – whether it is ‘invert sugar’, ‘rice malt syrup’, ‘golden syrup’ or ‘raw sugar’. In fact, substituting rice malt syrup for sugar/table sugar/sucrose is of no benefit and can actually cause more harm than good as regular table sugar only has a medium glycaemic index (GI) whereas rice malt syrup has a very high GI. GI is a ranking of carbohydrate foods based on how they affect blood glucose levels. It refers to the rate at which carbohydrate (carb) foods are digested and absorbed into our blood stream and the way they raise our blood glucose levels compared with glucose, which has a GI of 100. Foods with a high GI (70 or more) break down rapidly and raise blood glucose levels high and fast. Those with a medium GI (56–69) break down at a medium or moderate rate and those with a low GI (55 or less) break down slowly, which also results in lower insulin levels. It is also important to also consider the total carb in your diet not just ‘sugar’ as bread, rice, potatoes and pasta as well as legumes and milk products will also break down to glucose and have an impact on our blood glucose (colloquially referred to as ‘blood sugar’) levels. Most carb foods are good for us. They are a direct source of energy and come packaged with vitamins, minerals and fibre, and those with a medium or low GI as well as those that are wholegrain/high fibre are best. See ‘Eat Bread and Lose Weight’ for more information about wholegrains and ‘The Surprising Superfoods: Legumes’ for more facts about high-fibre foods. As mentioned, table sugar/sucrose is of medium GI and having a small amount is not a problem. By no means am I suggesting that one can have commercial cakes, biscuits, pastries, desserts, chocolate or ice cream several times a week. In addition to sugar, they are high in saturated fat and calories/kilojoules – a disaster for your heart, diabetes and waistline. However, life would be pretty miserable if you couldn’t enjoy your favourite foods sometimes, and an occasional treat is absolutely fine – so enjoy your favourite cake/dessert occasionally without guilt. We certainly need to cut out regular soft drinks as they are what we call ‘empty calories’ – they have no nutritional value – and can contribute to weight gain, diabetes, tooth decay and other health problems. If you must have a soft drink, choose a ‘diet’ or sugar-free version rather than a regular sugar-laden version. However, enjoying a small amount of sugar in a low-fat flavoured yoghurt, or a high-fibre/wholegrain breakfast cereal is absolutely fine. Yoghurt – even flavoured yoghurt has a low GI and most high fibre breakfast cereals are also low GI even when sugar is added to them. Let’s put this into perspective: a level teaspoon of sugar has about 4 g of carb and is only 16 calories (68 kilojoules). So, if you enjoy a cup of coffee, perhaps a skim cappuccino or latte with 1 teaspoon of sugar at breakfast, it is no problem at all. However, if you have 4–5 cups of coffee each day with two teaspoons of sugar in each cup, that is a problem. However, I would also like to add that calories (kilojoules) do add up very quickly, and I do not recommend adding sugar to tea/coffee when following any of the weight loss phases of The Total Life Diet program. Fructose is the form of sugar in fruit and it is low GI. Fructose in fruit also comes bundled up in a healthy package of fibre, vitamins, minerals, antioxidants and phytonutrients – so fruit is good for you. So how much fruit is it okay to have? We’ve all heard of the ‘2 serves of fruit and 5 serves of vegetables’ recommendation. 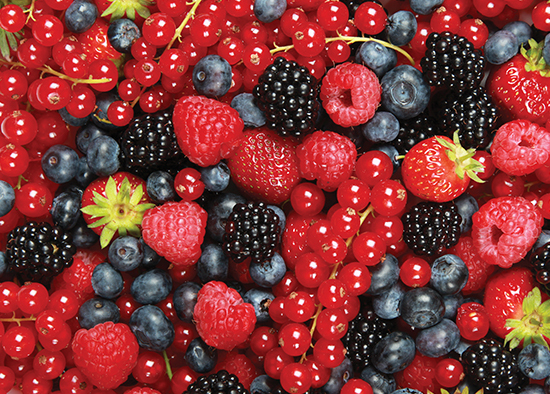 Most kinds of fruit are fine – fresh, frozen, canned (in natural juice) or dried. Fructose in fruit should not be confused with high fructose corn syrup, which is a sweetener used in the American food supply, and I am certainly not recommending it. 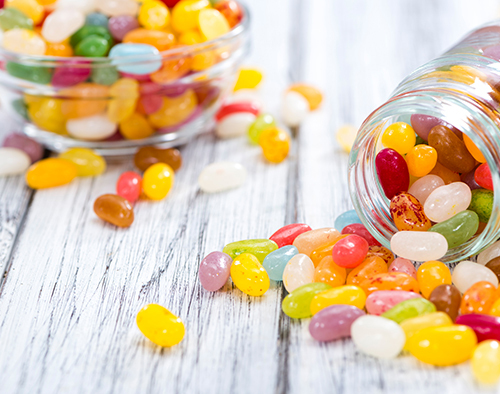 The Australian food industry uses sugar or sucrose from the sugar cane and so the Australian food supply is quite different to America and other countries. Lactose is the sugar in milk and milk products or dairy and it is low GI. Unless you have lactose intolerance, this is a good sugar. Even if you have lactose intolerance you can consume a lactose-free, low-fat milk, e.g. Zymil® or Liddells® and yoghurt is usually well-tolerated by those with lactose intolerance* as the lactose has been converted to lactic acid. The one sugar that I ask people to avoid is glucose. I even refer to glucose as the ‘bad’ sugar. As glucose is the form of sugar in our blood, when you eat/drink foods high in glucose they do not require the digestion and breakdown that other carb foods require – they go straight into your blood stream and shoot up your blood glucose levels. The only time you want this to happen is if you have a ‘hypo’ (a drop in your blood glucose levels) when you have diabetes. These guidelines also do not apply to elite athletes/sportspeople or those who are underweight and malnourished. However, for the majority of the population, one of my key recommendations is to avoid glucose also known as dextrose. The biggest culprits when it comes to glucose/dextrose are sweets/confectionary/lollies/candy and we need to avoid having them. Honey is a tricky one. It is natural and has been a part of the human diet for millennia. 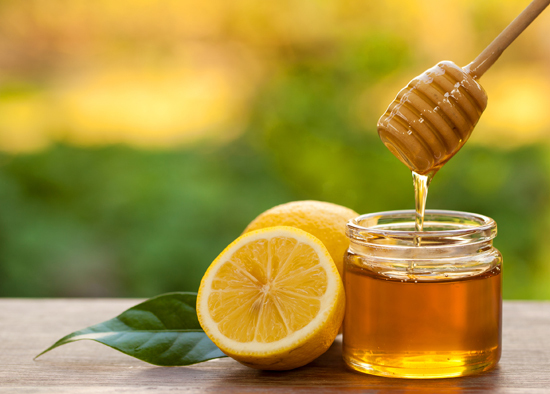 While the GI of honey can vary, some forms of honey can be low GI and there is some evidence of its nutritional, antioxidant and prebiotic benefits. However, it is a denser form of carbohydrate than table sugar – and what many people call a teaspoon is more like three teaspoons! Just ¾ tablespoon** (3 Australian teaspoons) of honey is one serve of carb. One tablespoon of sugar (4 Australian teaspoons) is also one serve of carb. Compare that with a slice of bread, a whole orange or ½ cup of cooked pasta, which have an equivalent amount of carb. If you do enjoy honey, a couple of teaspoons added to healthy foods is not a problem, for example, a small bowl of low-fat Greek yoghurt with a couple of teaspoons of honey and a few walnuts at breakfast may imitate the diet of the people in Crete or Ikaria, who live to a ripe old age. It is the total amount of carbohydrate in a meal that matters, and adding protein, fibre and a small amount of good fat to a meal will keep us satisfied and give us good blood glucose control. As you can imagine, it is really important to be able to read labels on packaged foods. In our busy world it is impractical to expect to cook everything from scratch and we need to take advantage of what I call ‘healthy, convenience foods’. I spend a whole one hour+ session in my private practice showing people how to read labels on packaged foods. It is important to look out for glucose (dextrose) in the ingredients list and also look at the total amount of carb in the nutrition information panel. 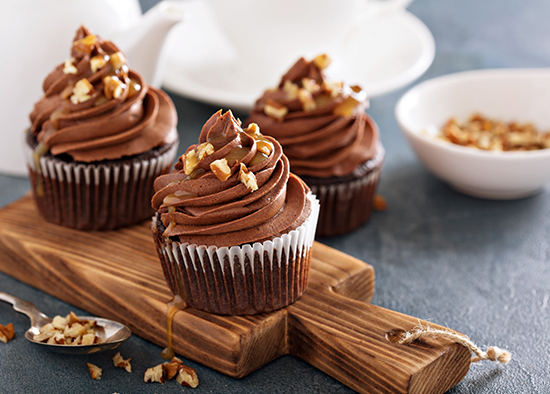 So, what do you do if you have a sweet tooth? I suggest that you use a variety of sweeteners. Having a small amount of many different sweeteners or a variety of sweeteners is safe and cannot cause harm as you will not be consuming too much of any one sweetener/sugar. When you have a sweet craving, indulge in dried fruit (or nuts) rather than sweets/lollies/candy, soft drinks/soda, commercial cakes, cookies or pastries. Do bear in mind that 1½ tablespoons of sultanas/raisins or 4-5 dried apricots is equivalent to one serve of carb. Enjoy sugar-free maple flavoured syrup (a combination of xylitol*** and Splenda®) in oats/porridge or pecan pie! If you enjoy your food without too many restrictions, you won’t feel deprived or depressed, and can eat this way for the rest of your long, lean, healthy and happy life! *Please note that an intolerance is not an allergy. If you have a milk or dairy allergy it is life-threatening and you should consult your allergy specialist doctor, general practitioner (GP) and allergy specialist dietitian. ** All measures are based on the Australian tablespoon of 20 ml (4 teaspoons). American and European tablespoons are 15 ml (3 teaspoons). However, this is only a minor difference and will not be a problem for the majority of meal plans or recipes. ***Xylitol is a ‘natural’ sweetener. However, excessive consumption may have a laxative effect. If you have irritable bowel syndrome (IBS) it is best to avoid xylitol. Wardlaw G M and Insel P M. Perspectives in Nutrition. Second edition. Mosby. St Louis 1993.